Not all online classrooms are created equal. At Primavera you’ll be learning in a state-of-the-art virtual space. Plus, you’ll have access to the resources and support you need to succeed. 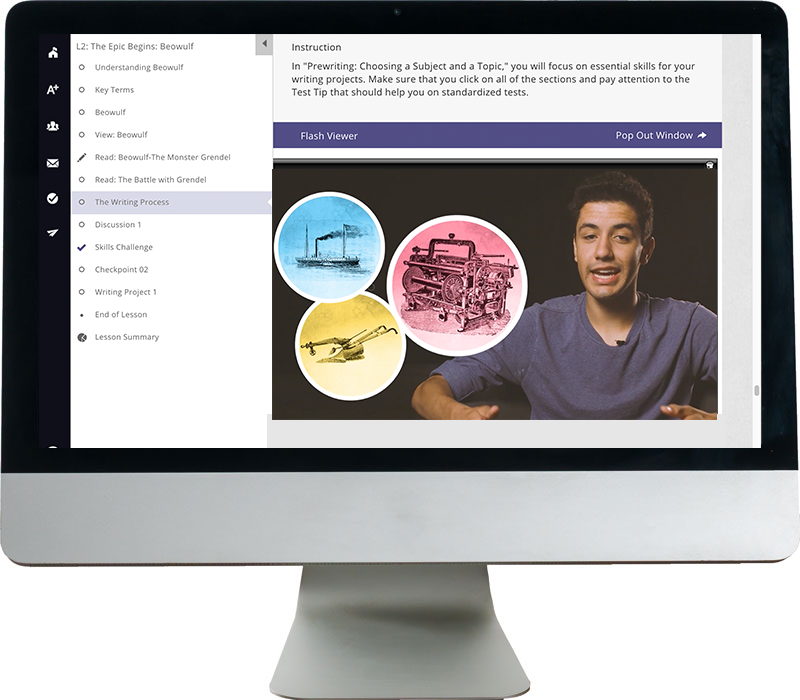 Primavera’s online classroom is engineered specifically for our students with advanced, user-friendly technologies. Teacher-led lessons, classroom discussion boards and ample teacher availability throughout the school day create a collaborative learning environment and supportive online community. Every student has a unique learning style and preferences. That’s why we offer customization options around classroom colors schemes and the choice between infinite scroll and click-through layouts. The PSP is Primavera’s communications hub where students enter their online classroom, and where students and their parents can view grades, graduation progress, manage their course schedule, interact with faculty and much more. Just like with traditional school, it is important you attend classes regularly. Attendance must be recorded every Monday. If you do not log in to your account for 10 consecutive days, your account will be automatically locked. To unlock your account, you will need to contact your guidance counselor at 480.456.6678, option 4. This will take you to the attendance page, where you can easily record by day. Communicating with your instructors is simple. In fact, many of our students report that they communicate with their teachers more at Primavera than they ever did at their traditional school. Teacher and guidance counselor contact information is automatically listed. Primavera adheres to a strict no bullying/cyber-bullying/harassment policy. Parents of students under age 18 can manage their student’s PSP account. Guidance counselors are here to help with academic and personal support.